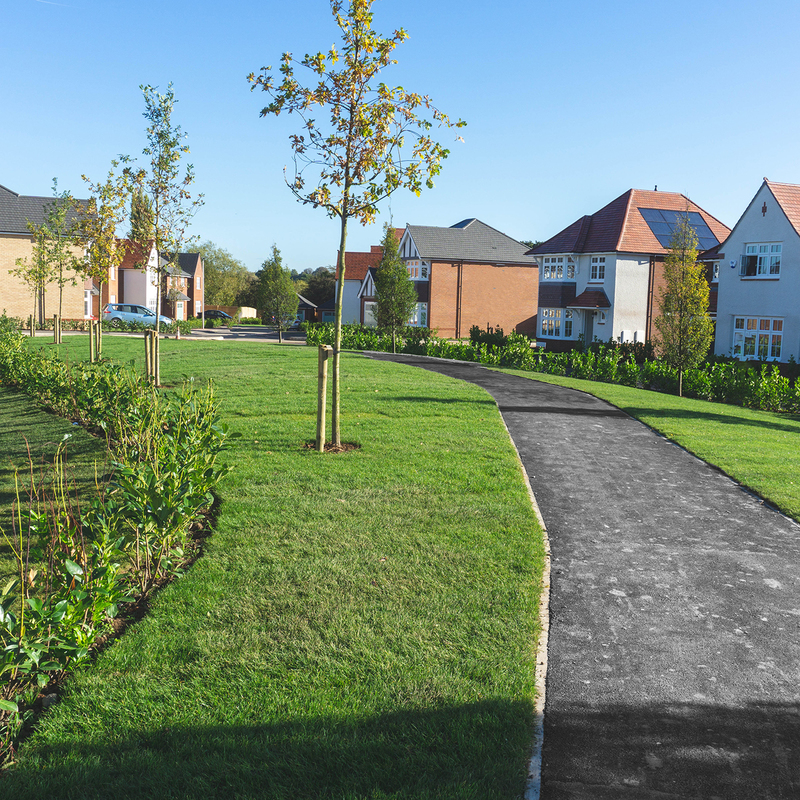 Having worked with Redrow Homes for many years, it was an absolute pleasure to be contracted in to ‘Landstruct’ the grounds of their 100,000 house completion as well as the Public Open Space (POS) that the house overlooks. 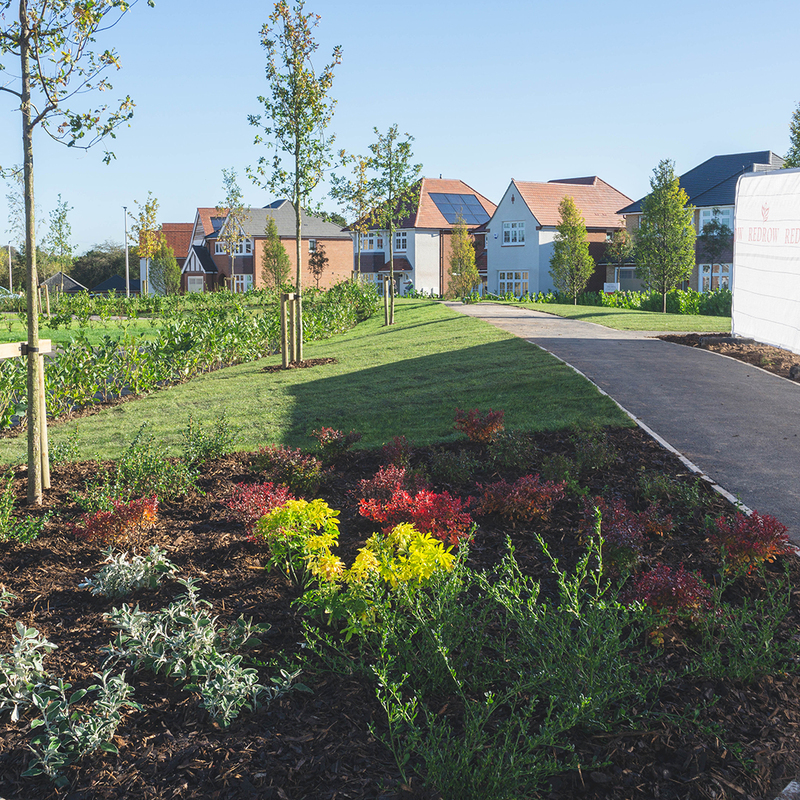 With Redrow being at the forefront of the Garden Village movement, it’s fantastic to work alongside a company carving such a great path through the house building industry. The POS area outside the house includes, Quercus robur (English oak), Carpinus betulus Fastigiata (European Hornbeam), Sorbus aucuparia (Rowan), Prunus laurocerasus (Cherry Laurel) and over 1300m of turf. This planting scheme on the POS area gives colour throughout the whole year, giving the homes that overlook the area a colourful backdrop all year round. The 1300m of turf creates a large area, fantastic for outdoor activities and for children to play outside of their home without being too far away. 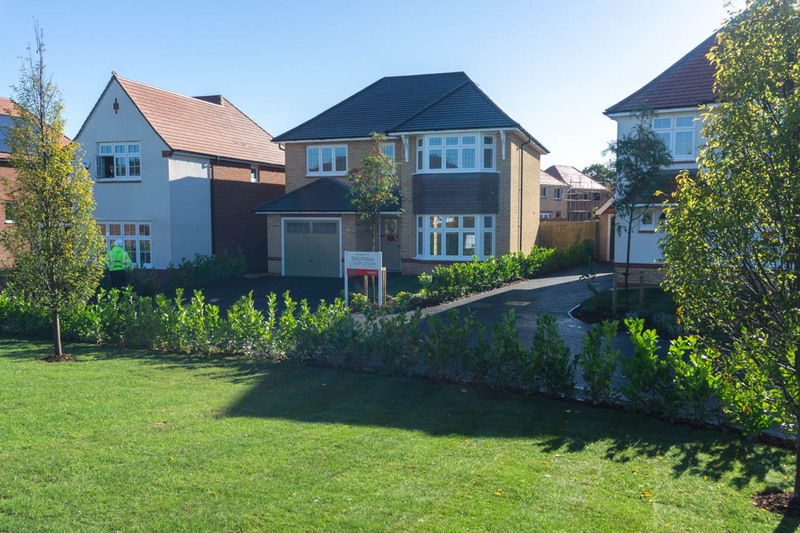 It has been a joy to working with Redrow so far – here’s to ‘landstructing’ the 200,000 house completion!